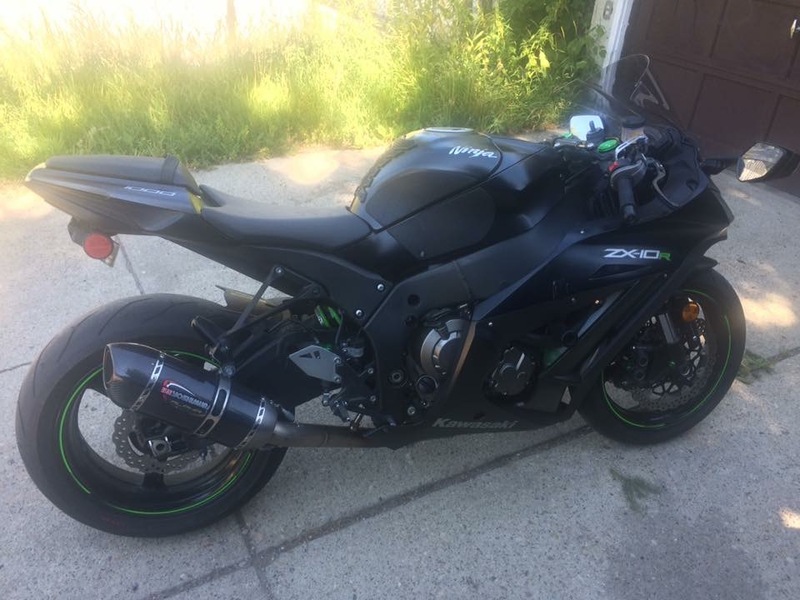 So im doing the 2011-2015 zx10r header conversion. Have the yoshimura alpha can but i been waiting for the midpipe i ordered to come in. Still not sure if the midpipe will fit. In the mean time I borrowed my buddies graves exhaust off his zx10r. Sounds louder in person. Still not sure which i like the look of more, yoshimura or the short graves so you can get a new clear view of the wheel plus a little bit lighter. Here is a video of the sound. Although the Yosh sits out more, I personally am leaning towards that, as the Graves looks like it's been "added on" to a shortened midpipe. Obviously your choice, have you seen the Vandemon exhaust? or don't prefer it? I feel the same way. Love the looks of the yoshimura better, just love the concept of a clear view of the wheel and a little less weight. I looked at it, couldnt justify the $3200 price tag on it when i can achieve the same exact thing for $1100 (price of the headers, spacers and exhaust). Plus i love the yoshimura. 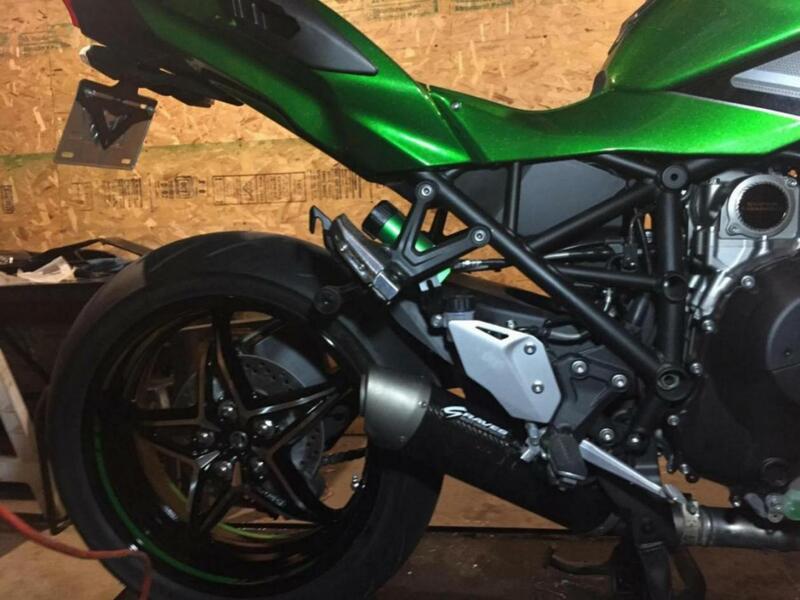 I had the exact same one on my 2015 zx10r so i know how it sounds and looks i person. Not to mention the 4th gen ZX10R headers can put out 3%+ power on a tuned H2SX ECU than the Vandemon can, eh? 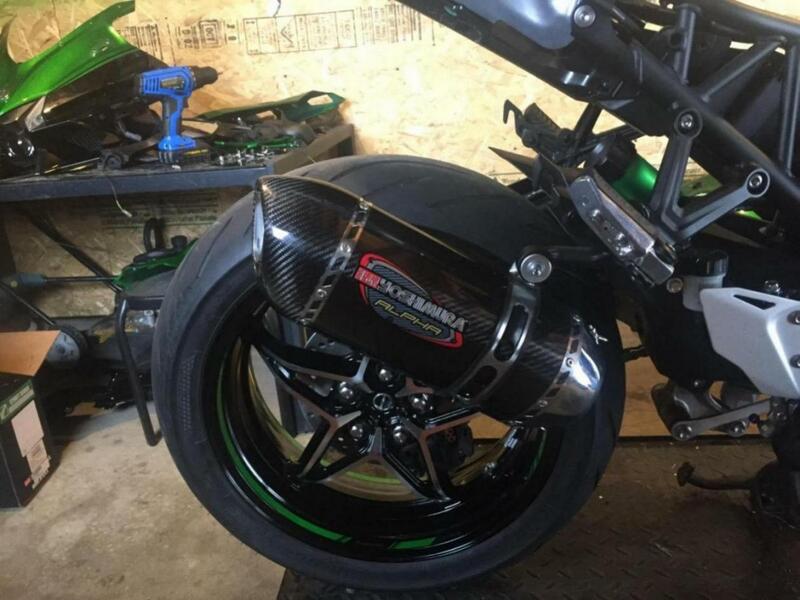 +1 on the Vandemon full exhaust for the Ninja H2 SX. Perfect fit, professional finish and no hassle at all with fabrication of a mid pipe or other fancy things. Best choice if you want a full system hands down. Exactly. Between the headers, spacers and yoshimura 3/4 system, it cost me $1100 and they will perform just as good, maybe better then vandemon. And be just as light weight. Today 01:26 PM by h2madness!